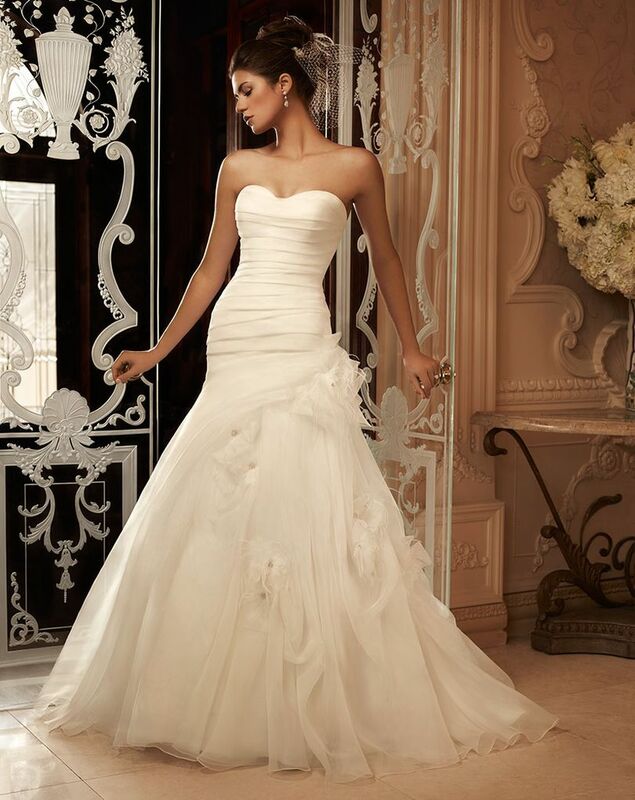 This strapless sweetheart gown has an asymmetrical pleated dropped waist. Trumpet shaped silhouette with beaded flowers made of organza with feather detail are scattered throughout the skirt. Matching fabric buttons line the zipper.